Are you coming from abroad and would like to study in Germany? The „ Deutsche Sprachprüfung für den Hochschulzugang“ abbr. DSH is the entry card to studies in Germany. Here you have to prove that you can attend and follow seminars and lectures without trouble, and that you do not have a problem with working with academic texts. Sprachcaffe Düsseldorf gets you ready for the exam! For many years, our trainers have taught students from all over the world in special DSH courses to prepare them for the exam. Our language trainers know what is expected in the exam and will give you enough materials to prepare adequately for the exams. There will be nothing to stand in your way when you take up studies in Germany! It is free and non binding! It entails 20 lessons per week – 4 lessons per day. and the fast form to prepare for the exams. This DSH Language course is the most flexible and individual form of preparation for the exams. You can organise individually how you want to take either 10, 20, or 50 lessons. For whom, what are the requirements?, How do you prepare yourself? How much does the exam cost?, Who is exempted from the DSH? Representation of the correlation DSH levels and the provision of language competence on the Common European Framework of Reference. and DSH examples tasks and sample tests. 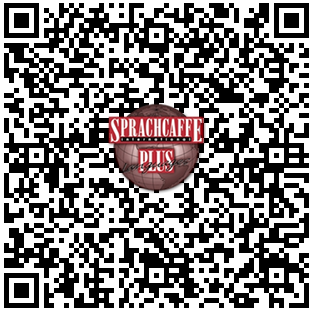 The Sprachcaffe Dusseldorf since 1990, a central meeting place for language lovers from all over the world and provides qualified, interactive and lively language training by trained native speakers. Today, the Sprachcaffe one of the leading European providers of language courses and language courses. Efficient learning with fun, that's our motto. You can also rely on a well thought out approach to learning, expert teaching and a pleasant learning environment. 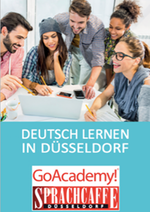 German courses as evening courses are the ideal type of course for continuous improvement of your knowledge of German.